Indie Retro News: Full Throttle Remastered - Classic Motorbike LucasArts Adventure overhaul coming 2016-17! Full Throttle Remastered - Classic Motorbike LucasArts Adventure overhaul coming 2016-17! After a really tedious weekend so far with some poor weather thrown in as well, late Saturday has ended with an Adventurous bang from Double Fine Productions. Not only did we learn of the remaster for Day of the Tentacle, but they have also announced another all time classic game which stars none other than the famous Motorbike riding Ben from the 1995 graphic adventure game by LucasArts! 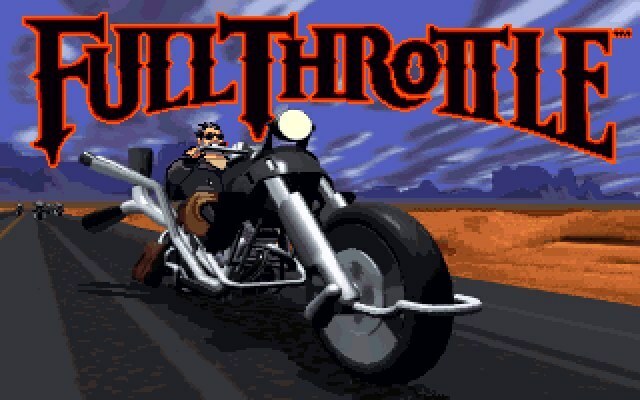 That's right, it's ' Full Throttle ' which will be given a graphical remaster just like Day of the Tentacle, on both the PS4 and PlayStation Vita with a release date of 2016-17. As of yet we are not sure if it will come to the PC, but I'm sure it will.